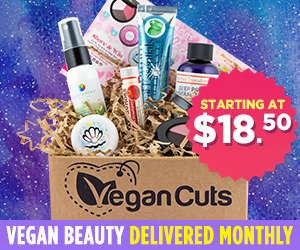 I have a super fun, delightful new product to tell you about!! 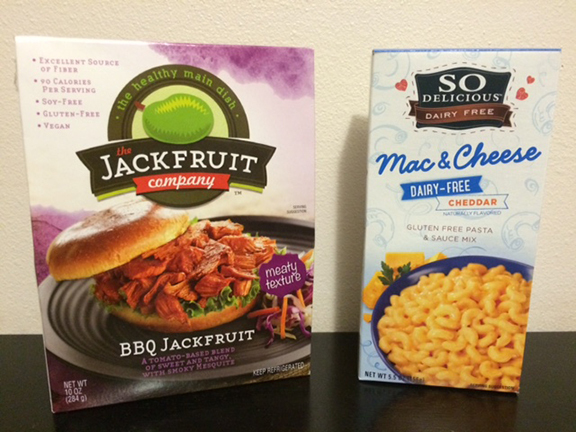 Jackfruit made by a wonderful company –The Jackfruit Company! 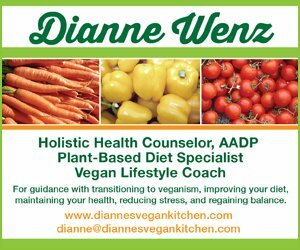 Why jackfruit? Jackfruit is a miracle crop. A single tree yields two to three tons of nutritious fruit each year, with minimal or zero maintenance. Jackfruit is extremely underutilized in proportion to its global potential, for lack of connection between growers and the international marketplace. 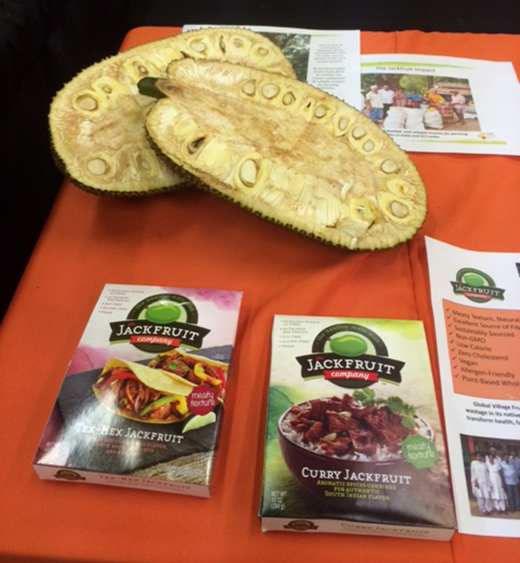 The jackfruit also provides a potential solution to countries facing problems with food security. The Jackfruit Company’s founder and CEO Annie Ryu visited India for the first time in 2011 and immediately saw an opportunity. After seeing how much jackfruit was going to waste in the country, she wanted to find a solution to convert this lost resource into income and opportunity for farming families — all while creating a delicious, healthy meat-alternative food product. 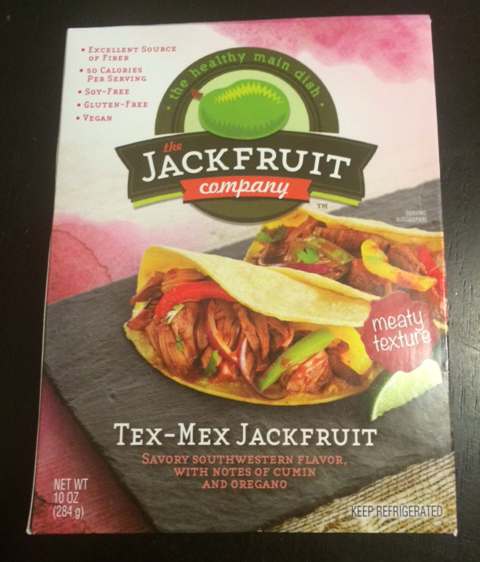 With that, The Jackfruit Company was born! A jackfruit looks like this! And just of few of the beautiful dishes you make using it are below. 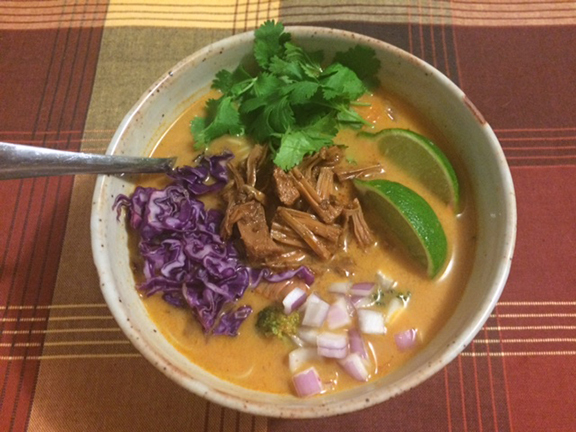 Curry Soup with red curry and veggies! Oh my goodness, this was amazing! 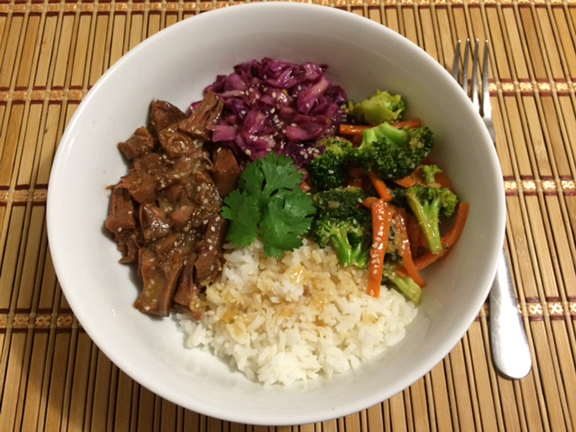 Sesame Ginger Buddha Bowl with a delicious miso dressing! 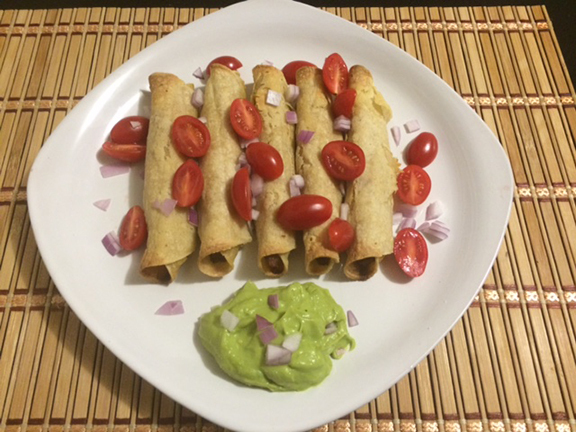 Taquitos made with the Tex – Mex Flavor and avocado creme!! 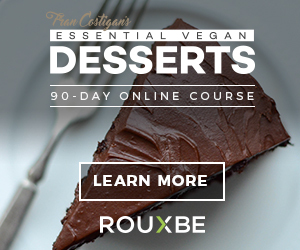 Super easy and so delicious! Makes an easy BBQ Sandwich! And now for a giveaway!! 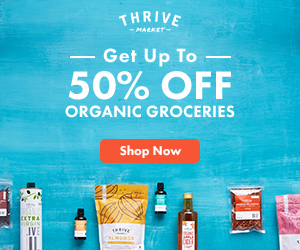 Enter for your chance to win 2 coupons for free products. Follow the instructions below to enter. U.S. residents only, please. Contest ends at midnight eastern time on June 8th. Good luck! I’ve only ever eaten it raw and fresh! 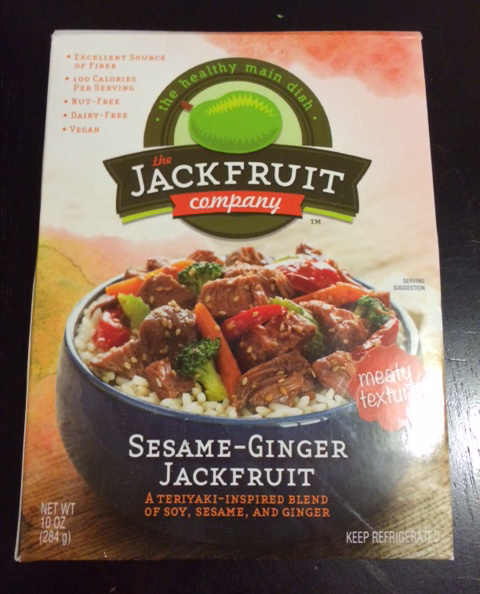 Jackfruit is hard to find where I live, so I don’t really have a favorite way to eat it. I have had fresh jackfruit several times in India, and it’s really good! 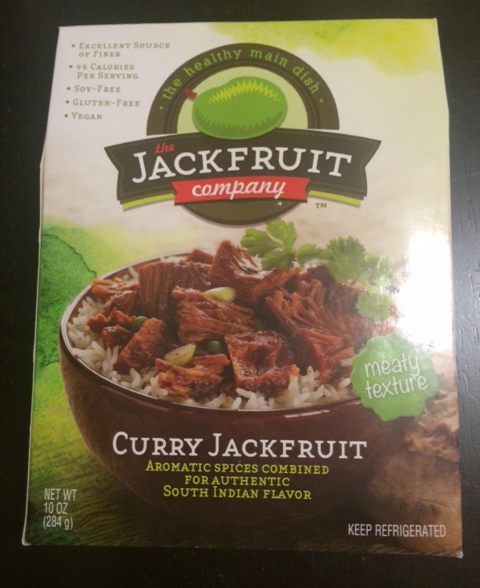 I’ve only had jackfruit once and it was a prepackaged bbq jackfruit (from another brand). I didn’t really like the sauce it was in but I need to try this brand now! I couldn’t believe it when I saw these products at my local Walmart! I tried the BBQ one and found it a little too acidic tasting. Can’t wait to try the other flavors! 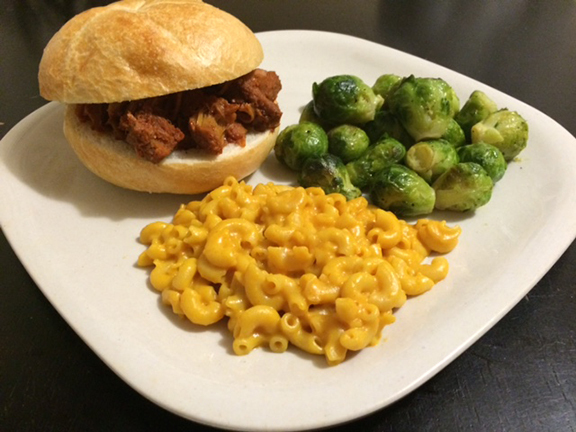 I love to make pulled jackfruit with homemade BBQ sauce! I love it in tacos with sauce! My favorite way to eat jackfruit is smoothered in bbq sauce and topped with carmelized onions! Yummy! I’ve only had jackfruit with BBQ sauce. It’s so tasty! Can you freeze fresh jackfruit? And if so, how do I prepare it?